On this sunny Monday morning in London, The Photographers’ Gallery previewed their annual exhibition dedicated to recognising and nurturing new talent in the world of photography. FreshFaced + WildEyed 2015 showcases the work of 25 emerging photographers who have been selected from an open submission process by a panel of photography experts. Each of the 25 selected finalists graduated in the past year from BA and MA courses across the UK with photography and/or digital media as the main part of their study. 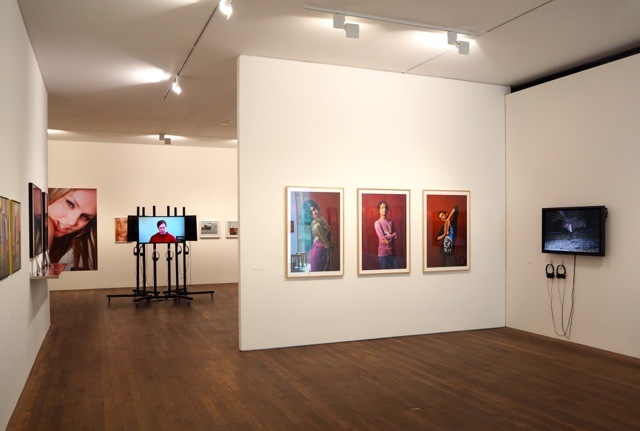 The exhibition is arranged over the two upper floors of the gallery with each finalists presenting one work. The judging panel has done a good job in ensuring that the selection is both diverse and very engaging. 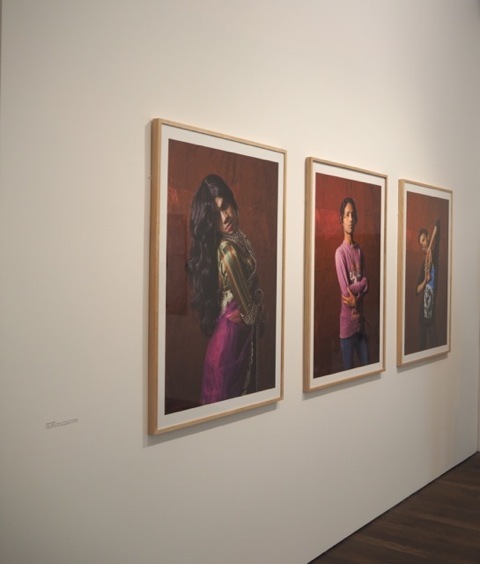 Highlights of this year’s FreshFaced + WildEyed include Charan Singh’s Kothis, Hijras, Giriyas and Others (2013 ongoing), a wonderful group of portraits of gay and transgender men in India and from Betty Laura Zapata, a raw look at the Venezuelan healthcare system that makes for tough but compelling viewing. 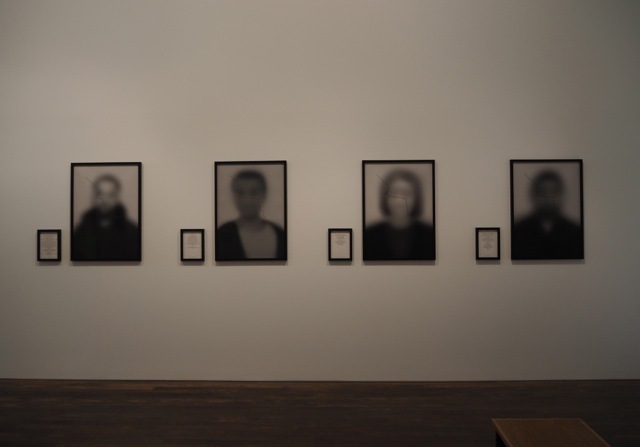 For me the standout work was Aida Silvestri’s Even This Will Pass (2013), an affecting group of four blurred portraits of Eritrean migrants each accompanied by the gripping, and often upsetting, testimonial of their personal journey. 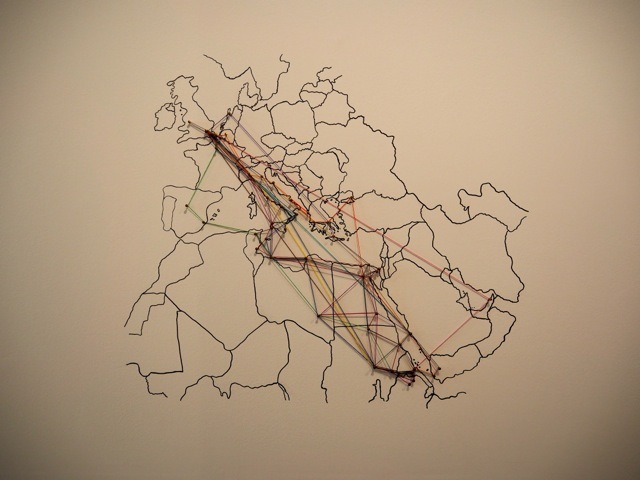 The four works are further enhanced with a map that shows, with crisscrossing coloured string, the convoluted routes these people took from Eritrea across Africa and Europe. Dozens of different modes of transport took them across vast distances – planes, trains and automobiles here joined by lorries, boats and camels. If photography is your thing then FreshFaced + WildEyed should be an annual must-see in the exhibition calendar anyway but this year’s selection is well worth seeing for anyone. It’s a quick, easy and FREE way of keeping abreast of who’s new and upcoming in the genre.